At a time Government is pursuing financial inclusion strategies in remote areas, the latest innovation, C-Trade; an online and mobile share trading platform is expected not only to make trading of stocks on the local bourse less intricate but it has also brought capital markets at the tip of a fingernail to the marginalized segment of society. Zimbabwe has about 65 percent of its population living in the rural areas, with dire services infrastructure negating economic development in most parts despite substantial economic productivity taking place at a rather informal level mainly in sectors of agriculture and artisanal mining. The rural economy has thus made a significant contribution to national GDP, with for instance official figures from Reserve Bank of Zimbabwe highlighting that gold deliveries from artisanal miners in these rural areas surpassed that of large corporate firms in 2017. However, worryingly, high levels of poverty remain deeply rooted in rural Zimbabwe despite commendable levels of productivity. Financial illiteracy and poor access to sustainable investment alternatives poses a challenge for most dwellers here. This is worsened by inadequate financial infrastructure and far-fetched access points. The 2014 Finscope Consumer Survey stated that less than 15 percent of the rural population is banked, with only 1 percent of the rural adult population having made use of capital markets services to consolidate their savings. Stock markets have largely been a preserve for the elite urbanites to consolidate investments, while rural communities have conventionally taken stocking of livestock as the ultimate investment option to consolidate savings often times succumbing to natural disasters such as droughts and plagues. 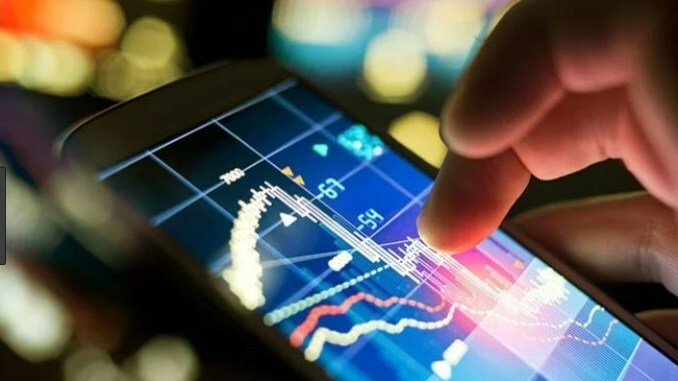 With easier access to the Zimbabwe Stock Exchange (ZSE)'s real time market data through an Internet-enabled mobile phone, C-Trade will enable even the rural folks a chance to access share prices, offers, bids and also integrates potential investors with the stock brokers and all other market data, a development experts say will positively change the country's capital markets landscape, open to all and sundry. Speaking at the launch of C-Trade in Harare recently, the capital markets regulator, Securities Exchange Commission of Zimbabwe (SECZ), chief executive Mr Tafadzwa Chinamo highlighted the need for inclusive participation of locals on the country's capital markets as the panacea to confidence that will ultimately lure foreign investors. Currently the ZSE has a market capitalization of $ 10.3 billion. "C-Trade is significant, it's a game-changer set to alter how we perceive and interact with stock markets. For today it becomes a reality for millions of Zimbabweans who for so long thought it unimaginable to have the stock market literary at their fingertips with the option to partake in and enjoy the benefits of deploying their money with unprecedented simplicity as investors," said Chinamo. The C-Trade platform becomes a first of its kind in Sub Saharan Africa with such convenience that will only need one's national identity number and bank account or cell number if one doesn't have a bank account in order to access the stock market and start trading. The coming in of C-Trade couldn't have come at a better time, when mobile money payment solutions are dominating mode of transactions in the economy, and mobile penetration rate surging above 94 percent. "This innovation brings the much needed ability to remotely trade on the ZSE and the advent of mobile payment solutions, it perfectly complements this development. Capital markets are a preferred investment option than money markets in an environment pregnant with inflationary expectations," says financial and macro-economic expert Pepukai Chivore in an interview with Post Business. "I am confident that with proper education (on stock markets), rural dwellers can make maximum use of this innovation to invest their savings from agriculture, artisanal mining and other income generating projects. Consequently, this will prop them up the development ladder, grow rural businesses from dividends. When individuals are empowered, families thrive, communities prosper and the economy booms," he added. SECZ has already embarked on a capital markets literacy programme launched late last year, which is expected to improve understanding of capital markets across the country. Concerns are however rife over the 54 percent Internet penetration rate which still needs to be improved to ensure universal Internet penetration and connectivity across the country. Telecoms companies are still bickering on the envisioned infrastructure sharing deal which if concluded will greatly improve internet penetration in rural areas and reduce cost of data.